You can be ready to go in six short months! We provide you with hand-in-hand group mentoring and training to support you the whole way while moving along from week-to-week. You will have the opportunity to mutually support other team members who are also obtaining certification. We also have a fun, safe, and nurturing secret facebook group where you will meet with your teachers. There, you will also meet with already certified Association for Wise Childbearing Instructors and others from your group. Earn your tuition, time, and effort back in just the first one or two classes! All this, excepting a three-day doula training in your own area, in the comfort of your own home! See the boxes on this page for details. Fill out the sign up form below to apply to become a certified Association for Wise Childbearing Instructor. Why be a childbirth educator? You can help to begin to heal the earth one, two…nine, ten births at a time! An individual’s entrance into the world is imprinted upon him forever. Conception, time in the womb, his birth, bonding with his parents, and the weeks afterward are all imprinted upon him forever. Gentle kindness, respect, and bonding at the beginning of life become a profound part of who he is becoming. A woman’s births, pregnancy, and postpartum deeply impact her life as a mother–and as a woman. They are moments that will change her forever, and which she will always remember. These are defining moments for her. Today’s world is full of impersonal technological answers. Quality education, hands-on nurturing, and personal mentoring are all even more essential now as the modern woman embarks upon mothering her new baby and nurturing her family as it grows. All other aspects of her life are colored by experiences as important as her births. Families are strengthened at the time of birth when encircled with caring, helpful assistance. Surrounded with truth, and with choices, skillfully put into use, parents come to understand that they have unique power. They are changed. They realize that they can make choices that will best serve them. They continue on into other areas of their lives with that realization. The quality of the family’s health, education, empowerment of how they can be, and so much more is positively impacted. Strong families make strong nations! Do you have a passion for helping babies, women, and families have more positive births and powerful lives? Would you like to strengthen and empower mothers and fathers to be strong, compassionate, wise parents from the get-go? Can I be both a Parent and a Birth Professional? We addressed this in depth in one of our posts. Click to read Being a Parent and a Birth Professional? Are you ready to join a great group that is making a difference? How does your country rank? The Association is based in the United States, a sister-nation with other prospering countries. Surprisingly, however, it does not rank highly at all among other industrialized countries for being the safest in which to give birth. Many first world countries do not. Too many women and babies are needlessly experiencing difficult births. And most people are none the wiser that this is true. The US has a ways to go to heal from fear-based practices that began early in the century and continued to slide from there. Though there are caregivers who offer sane, gentle, and evidence-based care, the numbers still say that there is great room for improvement. Is a world-wide renaissance possible? Can a visionary group such as ours really make a difference? History is full of examples of groups who have done just that! The Association for Wise Childbearing is seeking individuals who are interested in empowering and strengthening women and families from the very beginning. Do you feel called to join such a revolution as this? sign up today to be a childbirth instructor and join our dynamic group of others who care about women, babies, and families and their birth experiences. What are the benefits of certifying with the Association? Association for Wise Childbearing was founded in 1997. We are an international organization. Yet, we are relatively small at this phase in our development. We are parents who have made this our mission while at the same time focusing on our first priority of raising our own families. We foremost began on a community level. Because of this, we know first-hand how to support you. And we offer unsurpassed, personalized student support. You can feel confident investing in this satisfying and fulfilling career. Association for Wise Childbearing’s book Wise Childbearing was prepared with you in mind. It serves as a guide both for you and for the families you work with. Wise Childbearing, and our accompanying curriculum, will assist you in teaching and answering questions with confidence. As class members read or listen to audios of the book during the week, they are immersed in vital information. This gives your classes time for exploring what they are already learning at home at a higher level, through exciting facilitating activities. This allows for much more meaningful interaction between all the members of your class. As well, we provide you with suggestions for in-class curriculum, sources, ideas, tips, and advice for success in mentoring families. You automatically become a member of Association for Wise Childbearing. Association for Wise Childbearing team members have a great time connecting with and fostering long-term relationships with each other. We do so during group mentoring experiences on scheduled calls and in our online group. We work together to each create the best childbirth classes in our own individual corners of the world. Our instructors and instructors-in-training benefit from each other as we meet regularly on our private Facebook group and in other forums. Among many vital topics, we focus on your business and how to make a healthy profit that will further help you to individually care for your families and heal the birthing world. We are right there to provide guidance as you establish your small business and begin teaching your very own classes. We want to get excellent teachers into the field as soon as we know they are ready! Our intensive, personalized six month course will prepare you to be up and running soon and with power! Aside from taking an approved doula training course, you can fully certify at home within your own home town/area. Though not required, becoming a certified doula is strongly encouraged. The experience of serving birthing women/families in your area will be of invaluable importance to your education and to those you serve as a childbirth educator. Your assistance at their birth will be sought out and appreciated by women/couples taking your classes. You may set your own fees for your classes, and keep all earnings. 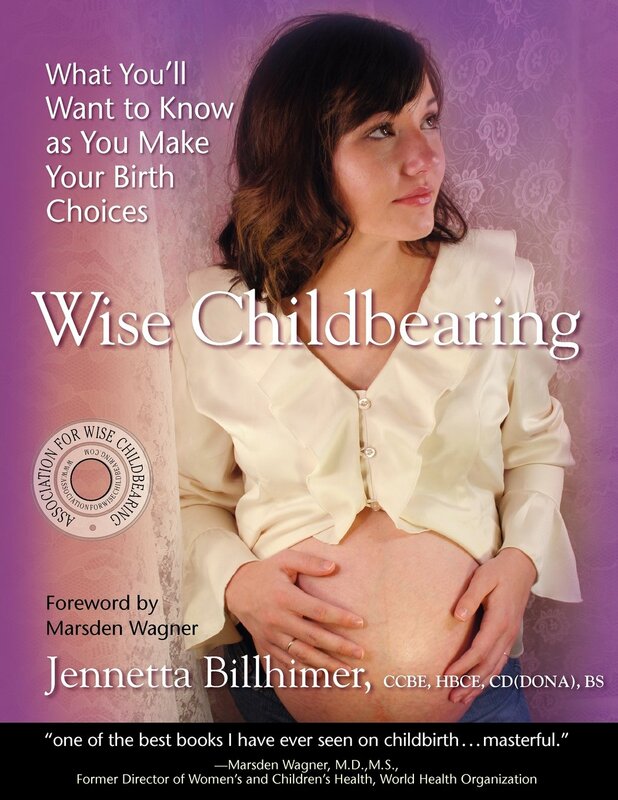 You will also receive special discounts when purchasing copies of Wise Childbearing. Once you’ve paid your (non-refundable) fee you pay the Association nothing else for your initial three year certification period. Each participant is responsible for purchasing their own copies of their books and films- see requirements 4 & 5 below.) This is the entire fee for certification! Best of all, with the value of these classes, you should be able to easily earn back your investments of time, money, and love within one class of two to six women/couples! Best of all, you will be prepared to guide women and their families through this important life event. As you have the opportunity to touch many lives, you will be having a positive impact on our birth culture as well in your own corner of the world! You can be part of a great team in this exciting endeavor! As a CCBE with Association for Wise Childbearing, who would I be working with? Association for Wise Childbearing classes are for anyone who is preparing for birth. Individuals do not actually need to be pregnant at the time they take classes. Classes are for parents planning to birth in the hospital, at home, or in a birthing center. We also offer training to our instructors on how to carry out a successful personalized mentoring business with women/couples who desire mentoring on their journey into mother/parenthood. What does the Association believe is important? *We believe that a woman already knows how to birth- whether or not she knows that she knows it. Women’s and babies’ bodies were unmistakably designed for childbirth, and to make it through the process unharmed! *We do not tell a woman how or where she should birth. We believe that each woman and family has unique needs. Access to the information about various choices is essential. This will allow for informed decisions that will best serve the woman, her baby, and the family. 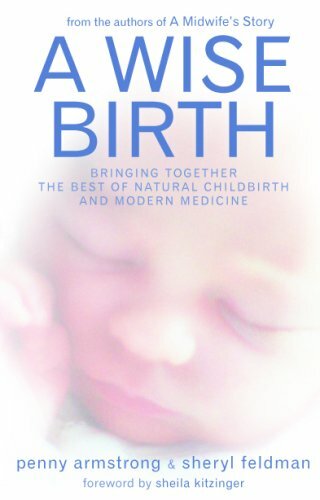 *We encourage families to take a closer look at birthing in other times and cultures. *We introduce them to a variety of safe and satisfying options that are now available. We show ways to overcome limitations and get them. These include pain-free, serene birthing, waterbirth, doulas, comfort measures, and much more. *We encourage families to educate themselves. We believe that women have much to learn from both outside sources and from within themselves for experiencing a wonderful, safe experience they will remember with joy forever. *We encourage families to take our classes as early in pregnancy as possible, even prior to pregnancy. This gives more time to consider and make better decisions, many of which would be best made at the beginning of (or optimally before) pregnancy. *Our classes are fun and engaging, with many enjoyable discussions and activities. 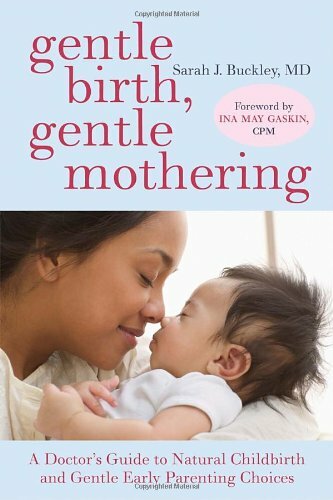 These serve to create valuable introspection that removes barriers to safer, kinder and gentler, wonderful birthing experiences. *We believe that families are best served when educators are fully consumer-oriented. We are not affiliated with a certain type of birth place or birth professional. *We provide RSVP (Relaxation, Soul, Visualization Preparation) sessions to help women and their husbands to go within, meet her labor, and find the strength within to birth her baby as she was created to do. We also present other comfort measures and labor-facilitating techniques that have long been used by doulas to assist laboring families. We do not advocate teaching distracting breathing patterns. *We offer an additional very effective Hypnosis For a Gentle Birthing class for those who choose! Parents learn to give birth comfortably and serenely, enabling them to be fresh and energized immediately after the birth as they welcome their new baby. *We cater to those wishing for a VBAC (Vaginal Birth After Cesarean) and that have had other prior birthing experiences they wish to avoid this time around. We also offer training to our instructors on mentoring individual women/couples in their hopes and goals. *We believe that the spiritual, emotional, psychological and sexual elements of labor and birth are even more important than the size of a woman’s pelvis or the baby she carries. *We believe that before they ever get to the point of having their own children, women have encountered many discouraging words and images about birth from others who have experienced unnecessary, painful interventions at their own births. Women have come to expect the same. We show how to have an easier, much more comfortable, safer, joyful experience! *We believe that this is a significant event in the father’s life as well. The role he plays in his child’s birth should be one that is natural and comfortable to him. Showing love and support for his partner in his own ways is one of the best ways he can help her. Additionally, we enthusiastically encourage families to consider adding to their birth support system the valuable, unique support and assistance of a caring, professional Doula. *We wholeheartedly support families and strong marriages. We believe that a strong marriage is one of the greatest things we can offer our children. Who is eligible to be an Instructor with Association for Wise Childbearing? Is obtainable by anyone who completes the requirements. You do not need to be a medical professional. Do you feel drawn to guiding families through the process of pregnancy and birthing? Other qualifications such as being a mother yourself, having other experience, skills or certifications, are added benefits. We are looking for individuals whose beliefs match Association for Wise Childbearing’s Philosophies. We look forward to welcoming into our dynamic, passionate community of educators those individuals who are willing to research the issues. They are committed to being fully consumer-oriented, meaning their loyalty belongs to their students and they are not torn between them and anyone else. They work for the client alone. They also keep good relations with caregivers and birth places and represent themselves, their clients, and the Association with professionalism and integrity. They are willing to get out of their comfort zone. They use what they have learned to engage their students and best help them to understand, integrate, and apply what they are learning. How does our book, Wise Childbearing, put your classes on higher ground, make them more effective, and easier to conduct? We assist parents in preparing in all of the necessary ways so that when it is time to birth, they can truly feel safe, that all is in place, and they can simply let go and give birth. 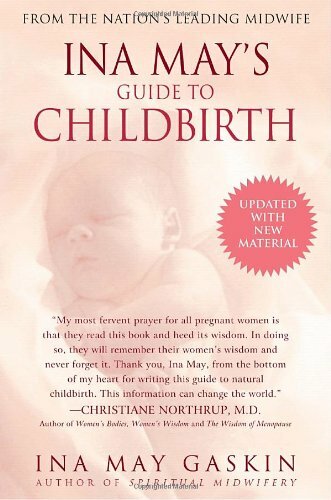 A copy of Wise Childbearing is provided by our educators to each woman/family. Wise Childbearing was designed for the purpose of allowing families to come to each class already prepared for meaningful group discussion and activities. Instructors are also better able to focus on the individual needs within the class. What are the requirements to be a Certified Association for Wise Childbearing Instructor? Sign and follow Association for Wise Childbearing’s Code of Ethics. Return one copy and keep the other to refer to often. Write a 1-2 page typed essay about your philosophy of birth, your previous experiences with birth and with teaching in general, and why you have chosen to become an Association for Wise Childbearing instructor. Attend an approved three day doula training (doula certification is recommended but isn’t necessary for certification with Association for Wise Childbearing) and submit a copy of the training itinerary and a signed certificate from the doula trainer. A 1-2 page review (not a summary) of the book must be submitted for each book. Your papers (or a 3-5 minute audio recording of your report) must include what you learned that you didn’t know before and your opinion of the book. Explain specifically (using examples and quotes from the book) what you agree with and what you do not. 5. Purchase for your classes and watch the following films. Write and submit a 1-2 page review (or submit a 3-5 minute audio recording of your report) about what you learned that you didn’t know before and including your opinion of the film. Attend two or more births (these cannot be your own personal births, and at least one must be attended in your local hospital) and write about your experiences (1-2 pages each). Complete the weekly 6 month online/teletraining certification course. When the above have been successfully completed and approved by the AWC certification board, you will be eligible to take the open-book test using Wise Childbearing, What You’ll Want to Know as You Make Your Birth Choices. Carefully read and study the material in the book again before opening the test. Your knowledge of its contents is essential as this is to be a great deal of the “meat” of your classes. When finished submit your test for final review. AWC has the right to certify an applicant when the certification board deems them ready. AWC also has the right to revoke certification at any time. 1-2 page essays describing three births attended (these must be completed after your original certification date). Identifying information of the birth family must be removed to protect their privacy. Copies of 20 (from approx. 10 couples) positive evaluations from students that have taken your classes. Submit copies of certificates received from at least 3 childbirth trainings and conferences attended during the past three years (these may include advanced doula, midwifery, childbirth education, nursing, and other approved trainings) Inquire whether other birth work you are doing, such as holding workshops about pregnancy and birth in your community, might count as part of this requirement. We look forward to having you in the group! “Jennetta is a very kind and loving individual. She is always striving to elevate and motivate people around her. Jennetta wants to assist and guide people to reach their true potential in life. She has a very strong passion of those things she believes in. That’s what drives her to share, teach, and mentor people in the areas of her expertise. We invite you to fill out this application and submit it for review. What is most appealing to you about working with pregnant and birthing women and families? The author and designer of this website and the organization of AWC assume no liability or responsibility for any difficulties, medical or otherwise, that those taking advice from this site, or recommended resources or sites from this site, sustain by following the suggestions or treatments described therein. Individuals should consult their health care professionals in matters that concern their specific needs. The user of the site assumes all responsibility for information found and applied here, on our online group discussion board, in our book, or elsewhere.